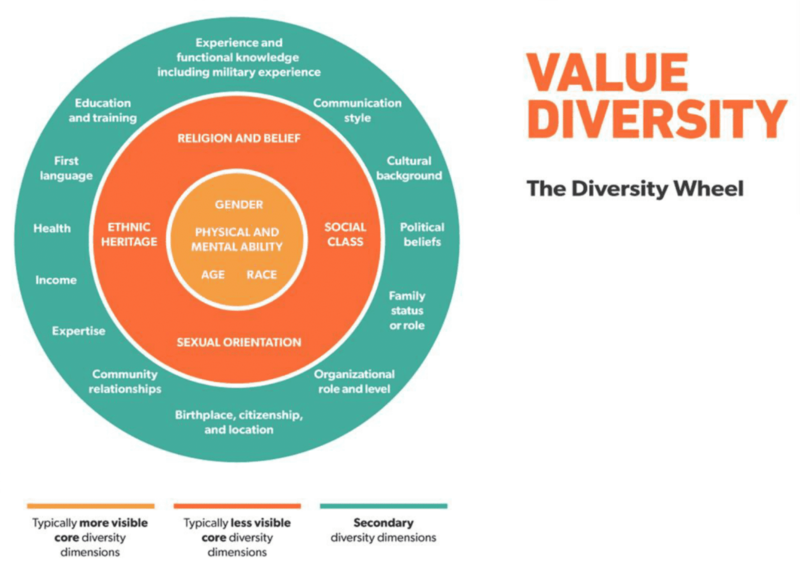 Our experience is that many people think of diversity as about being solely about gender and/or ethnicity, when in fact true diversity is about so much more and relates to traits that you can’t necessarily ‘see’. When I first began research around the idea of how to better match people to jobs, at global scale, I came across this ‘Diversity Wheel’ attributed to Pitney Bowes. Over the last five years it has proven to be a guide for how our company and algorithms have been developed to solve the diversity challenges of organizations across the globe. Diversity is important because it helps companies to better represent and empathize with their customer. This empathy drives more effective product development, marketing, engagement and service, generating greater ROI and fueling growth. This enables the historical job and wage growth we have seen in the last five years. Our UK company included people from 14 different countries speaking 9 different languages and our current team includes people from several different ethnic cultures as we as diverse populations including veterans, disabled, LGBTQ. Due to our work within the US defense industry, our tech team is made entirely of US citizens but that hasn’t kept us from achieving culture, religious, ethnic, LGBTQ and gender diversity within our team. At Uprise Festival (2016) in Amsterdam I led a Team Diversity Workshop and moderated a related talk that included senior executives from Booking.com, Accenture and ABN Amro Bank ($350 Billion in assets). It was encouraging to see how many attendees and people in the audience wanted to talk about how ‘diversity’ should include poorly understood cognitive abilities like Aspergers and Autism and that we need to help fellow team members understand diverse populations and how to be supportive and inclusive as we grow teams built to thrive in the 4th Industrial Revolution. There are many benefits to increasing diversity in any workplace. Companies that employ a diverse workforce experience 35% higher financial returns than the national average. It also creates a more comfortable, accepting work environment that encourages further diversity. However, with current EEOC laws, it’s illegal to inquire about anyone’s sexual identity or preference. So how can employers work to increase LGBTQ+ diversity while still staying within their legal obligations? The first problem to tackle is how to attract these candidates. Do some research on what factors attract LGBTQ+ candidates as well as the factors that repel them. You can access survey data from third party groups or diversity consultants. 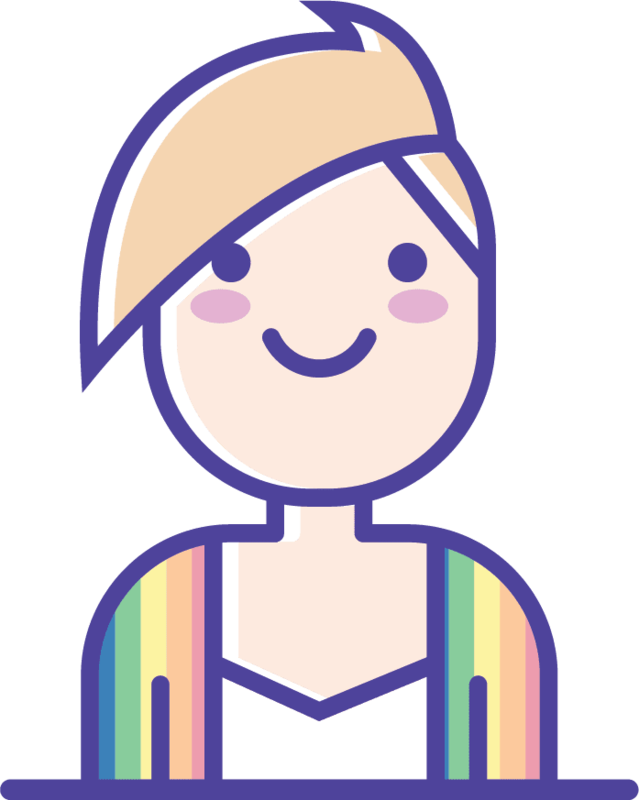 This data can help you build LGBTQ+ friendly rhetoric in your job postings and recruiter communications, which is key in attracting and retaining these candidates. 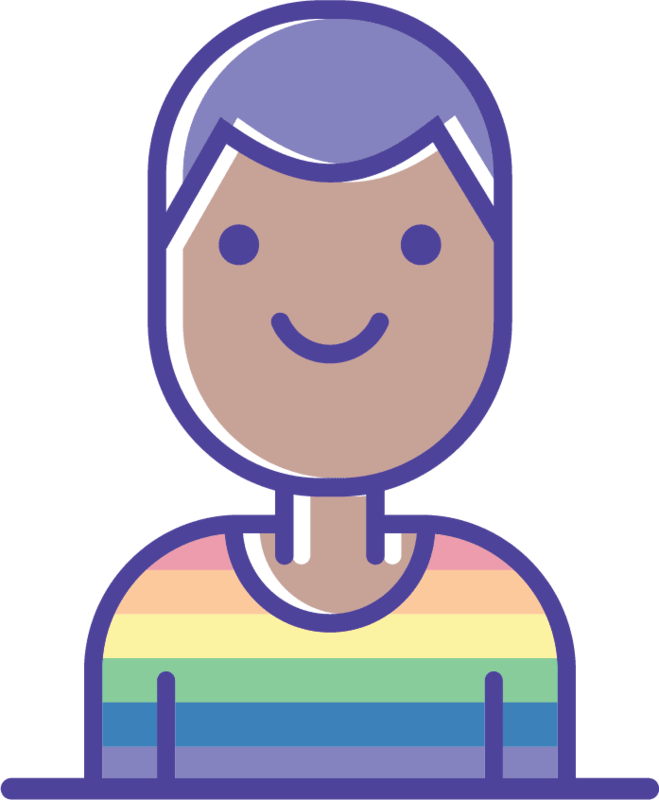 Building your brand to be LGBTQ+ friendly and either hiring talent recruiters that are experienced in assessing diverse candidates, or training current recruiters to do so, can do a lot to attract these applicants. Corporate involvement in related causes make a difference, as people in the LGBTQ+ community are often aware of which companies and organizations support their rights, and which ones do not. Participating in local Pride festivities is a good start, but sometimes it isn’t enough. Contributing to charities that help LGBTQ+ teens such as the True Colors Fund and the Born This Way Foundation will let the world know that your company not only respects the LGBTQ+ community but also provides real support. The world is shifting as more LGBTQ+ people are choosing to live out loud and proud. This means their population within the candidate pool is also increasing, so don’t limit your company’s potential by refusing to foster an accepting environment. Workforce recruitment companies always battle diversity issues every day. While some believe that diversity in the workplace is as simple as meeting the required quotas for employee race and gender, it’s much, much more than that. In less than a hundred days of being sworn into office, United States President, Donald Trump, has already signed three strict executive orders related to immigration. One policy, in particular, restricts all immigrants from seven Muslim countries and indefinitely bars all Syrian refugees from entering the US.